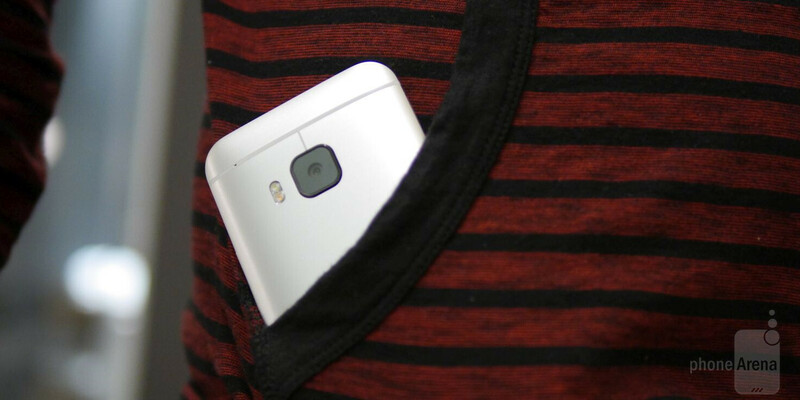 When HTC revealed an “UltraPixel” camera with the M8, many folks had some reservations about the decision. Needless to say, those concerns came to light once it was pitted against the handful of other flagships that soon came out – revealing its inability to capture the same level of detail as these other smartphones. At the same time, too, HTC introduced the M8 as a Duo camera system, where a second camera lens captured depth information to add in that neat bokeh, or out-of-focus effect to its photos. For all of its unconventionalities, the HTC One M8 was a decent snapper – one that’s sufficient for smaller 4” x 6” printouts, but nothing bigger than that. Considering that fine details weren’t as pronounced with its shots, there was no flexibility in cropping photos without any loss in quality. Enter the HTC One M9, the latest flagship smartphone announced by HTC. From the looks of it all, they listened to the complaints about its previous handset’s UltraPixel rear camera, and they opted to tack on something more beefy sized. Specifically, it’s armed with a 20-megapixel auto-focus rear camera, which features a BSI sensor, f/2.2 aperture, sapphire cover lens, and the ability to shoot 4K video. Of course, the 20-megapixel count is a dramatic departure from the 4-megapixel count of the M8’s UltraPixel camera, but as we all know, it’s not the higher number that necessarily produces the best results. Rather, it’s a combination of things that do it – like post-processing effects. Well, we managed to spend quite some intimate time handling a pre-production unit of the HTC One M9 and managed to capture a variety of shots for you to gaze over. Now, we have to stress the fact that these are samples from a pre-production unit – not a final retail model, so there’s always that chance of things changing. So, what do you folks think about the camera? In normal light situations it's a nice camera otherwise a flop. Patience, there will be time soon for full camera review. This is test model it is not retail one. Theres nothing that this camera is doing better than the camera on the Note 4 camera. FAIL HTC!! Looks way better than M8. Processing is fine like Faisal said above.. And count me in for the same comment regarding the lens they aren't bad but they are also not "something special". Still better than M8 "ultra pixel stuff". Sad that HTC lost several years focusing on their dead-end UltraPixel camera. I'm glad they finally decided to use the UltraPixel on the front instead and put in a regular main camera in its place. But now they're way behind because it's like starting anew. But I'm confident they'll get there. "Not a retail model" Should be in big, red, bold letters, as some dumb people don't even read the intro. actually Xperia Z's (from 1 to 3) are bad in display and camera. Too bad for my former loved Sony. It's gonna be an interesting camera battle this year. We'll see what MS Lumia is bringing to the game. nice shots i'll wait for the final retail unit but im hoping that it will still produce good lowlight shots based on the picture taken above it make me worry about the low-light despite with my m8 i like how it take the low-light shots in bar or in a restaurant at night though daylight shots are so,so i really wish m9 will still produce good low light shots!! Thanks for your work! Ordered the M9 today. Btw... What's the name of the restaurant? We'll visit Barcelona in April and have to check this out for dinner!